Home / Specialty Entertainment / Circus and Aerial Acts / Jugglers / unicyclists / CAMEO RASCALE – Dance, Juggling, Comedy, Circus and Cabaret! CAMEO RASCALE – Dance, Juggling, Comedy, Circus and Cabaret! 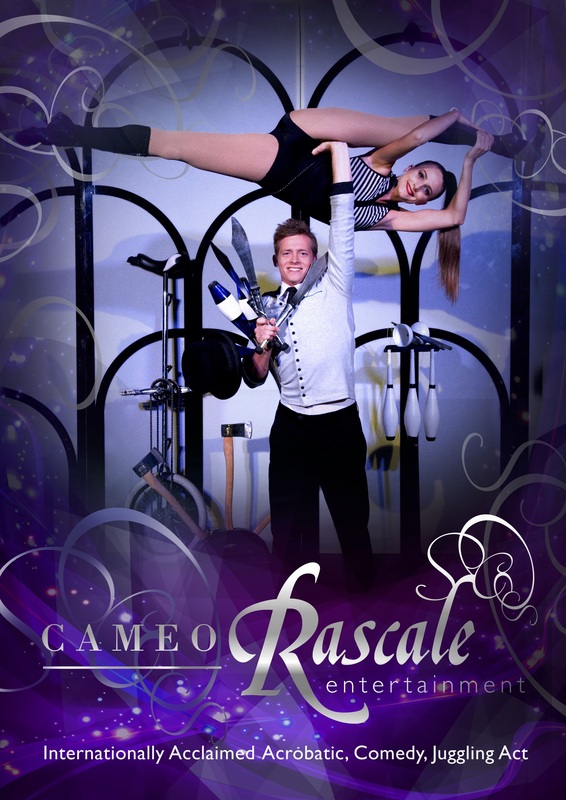 Cameo Rascale is a dazzling combination of acrobatic dance, juggling, stilt walking, unicycling and death-defying balancing acts - all with a comedians hilarity and cabaret panache! 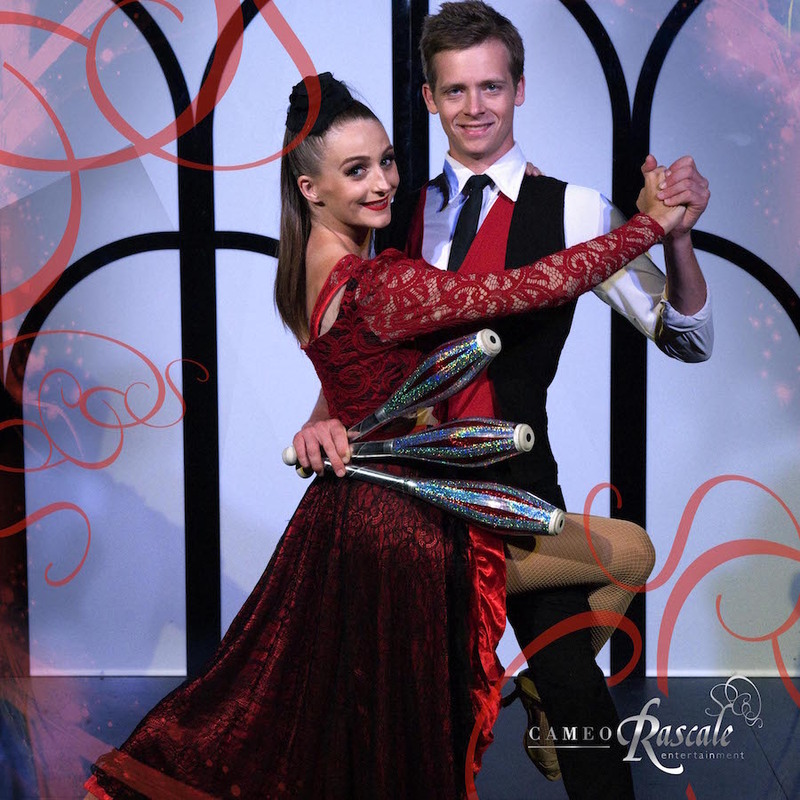 James Capener of CAMEO RASCALE has been performing internationally from a very young age, perfecting his craft in some of the top hotels, resorts and cruise ships around the world. He was a Grand Finalist on Australia’s Got Talent 2009, garnering massive praise. Together with the gorgeous Alex Byrne, CAMEO RASCALE will delight young and old alike! Roving: Skills include giant unicycling, juggling, stilt walking, poi and spring stilts. Workshops: For festivals, events, businesses, group development and team building. Festival Shows: A fun, interactive duo comedy acrobatic juggling show which includes adagio, unicycling and roller balancing. Private Functions and Parties: Duo act includes glow juggling and themed acrobatic comedy routines, such as knives and axe juggling on a giant unicycle. 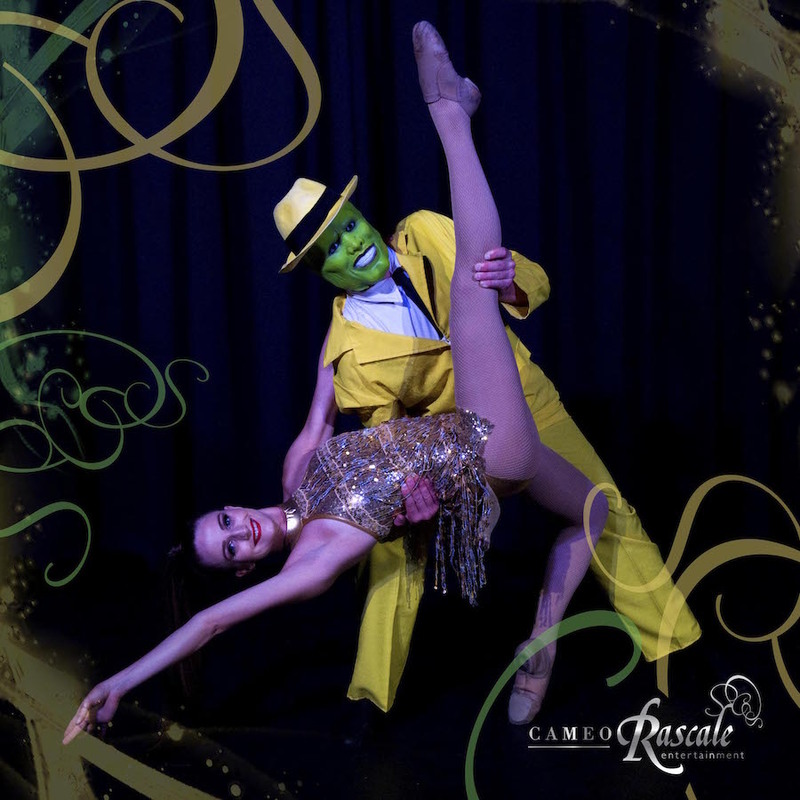 Corporate Functions: This is a high impact duo stage production including elaborate costumes, visual effects with LED and GLOW juggling and UV adagio / acrobatic routines.